Claremont is also known as: Los Angeles County / Claremont city. Their current mayor is Mayor Corey Calaycay. Zip codes in the city: 91711. Some of the notable people born here have been: Tony Beltran (soccer player), Amber Renee Jenkins (actor), Elliot Graham (film editor), Merilee Brasch (film producer and actor), Anabella Casanova (actor), Erik von Wodtke (screenwriter and film producer), and Evelyn Stevens (professional road racing cyclist and athlete). Claremont is a college town on the eastern border of Los Angeles County, California, United States, 32.5 miles (52.3 km) east of downtown Los Angeles. Claremont is located at the foothills of the San Gabriel Mountains and the Claremont Colleges are located there. The population, as of the 2010 census, is 34,926. Claremont is known for its many educational institutions, its tree-lined streets, and its historic buildings. In July 2007, it was rated by CNN/Money magazine as the fifth best place to live in the United States, and was the highest rated place in California on the list. Due to its large number of trees and residents with doctoral degrees, it is sometimes referred to as "The City of Trees and PhDs".The city is primarily residential, with a significant portion of its commercial activity revolving around "The Village", a popular collection of street-front small stores, boutiques, art galleries, offices, and restaurants adjacent to and west of the Claremont Colleges. The Village was expanded in 2007, adding a controversial multi-use development that includes a cinema, a boutique hotel, retail space, offices, and a parking structure on the site of an old citrus packing plant just west of Indian Hill Boulevard. 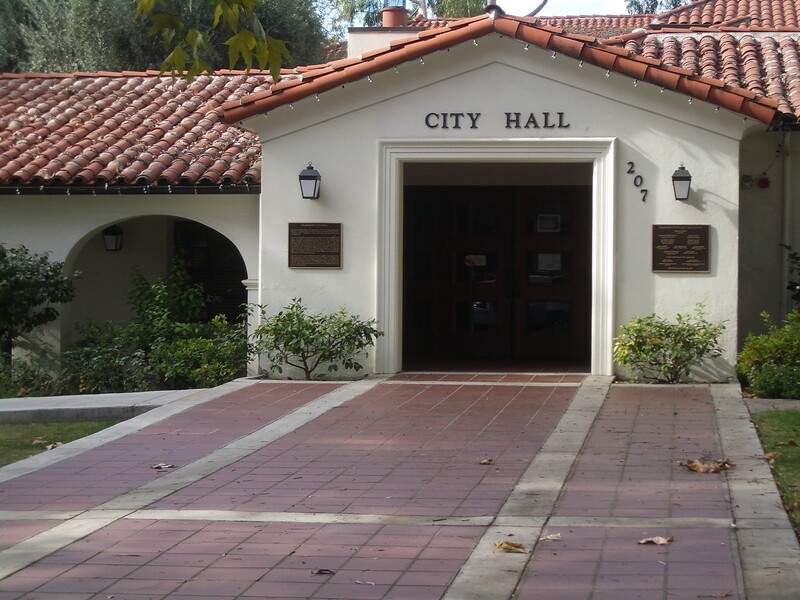 Some critics say that the expansion negatively altered the original, small-town feel of The Village.Claremont has been a winner of the National Arbor Day Association's Tree City USA award for 22 consecutive years. When the city incorporated in 1907, local citizens started what has since become the city's tree-planting tradition. Claremont is one of the few remaining places in North America with American Elm trees that have not been exposed to Dutch elm disease. The stately trees line Indian Hill Boulevard in the vicinity of the city's Memorial Park.The Claremont Institute, a conservative think tank, is located there. Several retirement communities, among them Pilgrim Place, the Claremont Manor and Mt. San Antonio Gardens, are also located in Claremont. It was disclosed on February 21st, 2019 that Shirley Ann Maxwell (Skaggs) perished in Claremont, California. Ms. Maxwell was 84 years old and was born in Flat Rock, IL. Send flowers to express your sympathy and honor Shirley Ann's life. It was written on July 22nd, 2018 that Palmyra Lomonaco died in Claremont, California. Lomonaco was 85 years old and was born in Chicago, IL. Send flowers to share your condolences and honor Palmyra's life. It was written on June 17th, 2018 that Jeanne Goss (Plain) perished in Claremont, California. Ms. Goss was 91 years old and was born in Deland, FL. Send flowers to express your sorrow and honor Jeanne's life. It was written by Orange County Register on March 23rd, 2018 that George Lincoln Mayes passed away in Claremont, California. Mayes was 89 years old. Send flowers to share your condolences and honor George Lincoln's life. It was reported on March 16th, 2018 that Muriel Ruth Noren passed on in Claremont, California. Noren was 99 years old and was born in Sheboygan, WI. Send flowers to express your sorrow and honor Muriel Ruth's life. It was revealed by Orange County Register on March 2nd, 2018 that Jon C Jones died in Claremont, California. Jones was 80 years old. Send flowers to express your sympathy and honor Jon C's life. It was noted by Orange County Register on January 11th, 2018 that Ronald Glenn Harris died in Claremont, California. Harris was 83 years old. Send flowers to express your sorrow and honor Ronald Glenn's life. It was reported by San Luis Obispo Tribune on December 29th, 2017 that Roberta Cates died in Claremont, California. Cates was 92 years old and was born in Lockhart, TX. Send flowers to express your sympathy and honor Roberta's life. It was revealed on August 13th, 2017 that Arthur E Hacker perished in Claremont, California. Send flowers to share your condolences and honor Arthur E's life. It was disclosed by Chino Champion on July 29th, 2017 that Robert E Curtis passed away in Claremont, California. Curtis was 83 years old. Send flowers to share your condolences and honor Robert E's life. Claremont is known for its seven higher-education institutions, its tree-lined streets, and its historic buildings. Due to its large number of trees and residents with doctorates, it is known as "the City of Trees and PhDs.". In July 2007 it was rated by CNN/Money magazine as the fifth best place to live in the United States, and was the highest rated place in California on the list. Claremont is a college town in eastern Los Angeles County, California Angeles County, California, United States about 30 miles (45 km) east of downtown Los Angeles, California Angeles at the base of the San Gabriel Mountains. The population as of 2008 is 37,242. The official website for the city of Claremont is http://www.ci.claremont.ca.us.